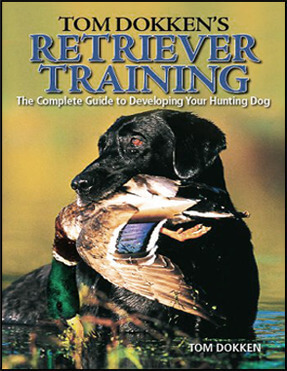 Tom Dokken’s 30 years’ success training retrievers for field trials, hunt tests and hunting shines through his successful training methods. With vivid supporting photographs, Dokken teaches reliable retrieving — obeying commands, retrieving to hand, steadiness to shot, quartering and flushing upland game, finding downed birds, taking hand signals and more. Color photos, 255 pages, softcover.